Are you looking for your first welder? Or are you a consummate professional who is looking to replace an old, worn out welder? 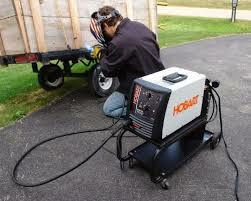 Or are you just looking to expand your current arsenal of welding equipment? Well, the guys at Miller Electric Manufacturing Company had you in mind when they released this awesome machine, the Millermatic 211 230V MIG Welder. The Millermatic 211 230V MIG Welder is ideal for everyone from hobbyists, who just want to weld the odd piece of sheet metal, to the professional who is into serious metal fabrication. With infinite voltage control and the Miller Exclusive! Multi Voltage Plug, this welder leaves you at ease knowing that wherever you are, whatever the project, the job will get done. It is easy to use for both professionals and beginners. It welds the thickest material in its class (3/8” mild steel in a single pass). Welds Mild steel and stainless steel, as well as Aluminum and other exotic metals. Thermal overload detection and prevention. Has a long duty cycle. Reliable in the long term. The cylinders, cart, and other accessories cost almost as much as the welder itself. The duty cycle is diminished when the spool gun is connected. The duty cycle is diminished when using 110V power outlets. The thickest stock that can be welded at 110V 1/4” thick mild steel. 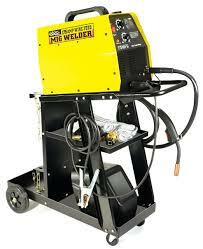 The Millermatic 211 230V MIG Welder is one of, if not the easiest welding tool to use in its class. The Smooth-StartTM technology ensures that the welder starts up smoothly, with no spattering at all, making this one of the cleanest welders. It has an auto-set feature that allows you to key in the wire diameter and the thickness of the material you are welding. Once calibrated, the Millermatic 211 230V MIG Welder does the rest of the technical work for you, so that all you need to do is start welding, no hassle at all. 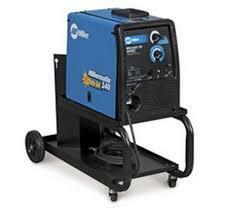 The Millermatic 211 230V MIG Welder also comes with 2 lbs. of 0.030 unshielded wire, so you can literally start welding straight out of the box. It comes with a “Tip Saver” short circuit protection system that shuts down the output when the tip is shorted to work. This handy little feature protects the internal components of the welder, while extending tip life to ensure that you can keep welding for as long as possible. It also comes with a trigger reset that quickly resets the torch without much fuss. The first problem with this particular welder is the fact that it comes with no spool gun, and to buy the compatible one costs around $200. Once you have splashed on the said spool gun, the duty cycle of the welder is reduced once the gun is connected. The fact that the duty cycle of the welder is diminished when connected to an 110V outlet is also discouraging. The welder is also very tricky to bolt onto its cart, with the bolts being really tricky to line up together. Though it is portable, the fact that it weighs 87 lbs. puts it on the heavier side. This makes taking it out of your truck or car slightly cumbersome, though not impossible. An overwhelming number of people who have bought the Miller 221 230V MIG welder have given it the highest praise, with most people giving it a five star rating. It is praised for its ease of use, with more than one amateur welder saying that it made their welds look as good as a professional job. Professionals have also raved at the different innovations that come with the welder, especially the Auto-set feature which most admit to using unless they are welding different thicknesses of metal together. The only major drawback has been that though this is an excellent machine, it is not necessarily suited for everyday work, due to the issues with the diminished duty cycle under different circumstances. Despite this, and the high price, most users agree that the Miller 221 230V MIG welder is the welder of choice for the people that have invested in it. 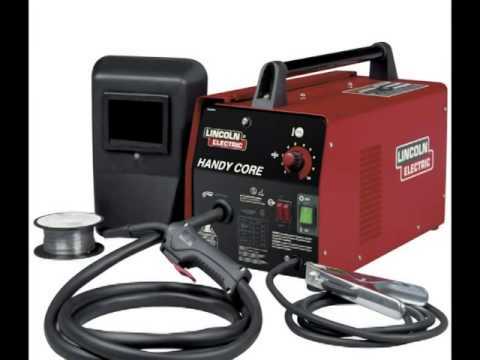 The durability, reliability and versatility of this machine make it a cut above the rest in its class, and by far the best choice for anyone looking to buy a MIG welder.